Our most recent title, Meow Quest, has been on the Apple's App Store for about a week. We already have some stats that we can compare to results from launching the game in other stores: Google Play and Amazon Store. 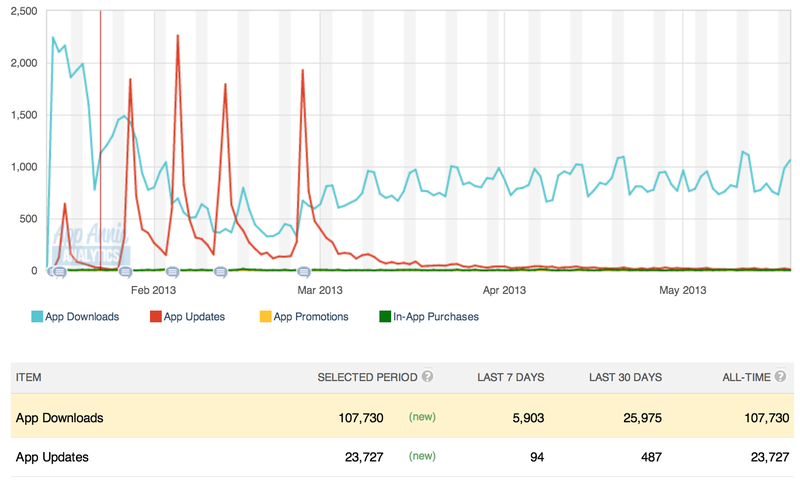 Just a few days on the App Store brought more downloads than Google Play and Amazon Store combined. That says a lot about discoverability of new apps on Google Play and Amazon. Our app 'Hyper Face - create funny caricature from photos, camera shots or Facebook' has recently reached 100 000 download mark since its launch on January 2013. We're very proud of our achievement since we have reached this number of downloads with spending maximum 50USD on sending out press releases to app review blogs and sites. Over the passed weekend (March 1st through 3rd 2013) we took part in the Cancer Research Institute's hackathon at Google Campus. You might wonder could there be app-free augmented reality activities. Well, we do augment reality daily wearing different clothes, accessories, masks, don't we? Drawing from these experiences Phillips in Taiwan used hairdresser mirrors to trick visitors into trying out moustache (which is really hard to come by among Taiwanese). Here's a quite neat idea of integrating Facebook check-ins made when visiting Asian food restaurants in Sweden to build awareness of direct flights by Air China between Sweden and China. To promote its 2-for-1 special offer, Scandinavian Air launched a promo campaign. Select few 100 000 received an email with two embed QR coded codes: left one for him and right one for her. Upon scanning videos are downloaded and must be started synchronously.